Lot Size: 9089sq. ft. 65ft x 140ft "Lane, Rectangular"
1377 sq foot 3 bedroom bungalow in Grosvenor Park. Basement totally redone with 2 bedroom non legal 2 bedroom suite. Walking distance to the U of S and all other amenities. 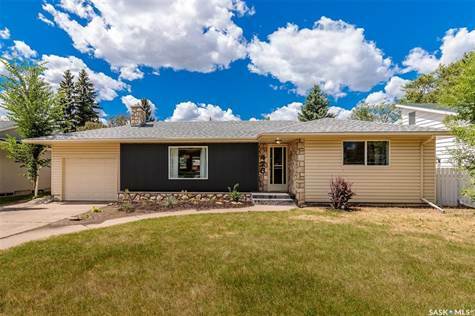 This home has been renovated top to bottom. Flooring, bathrooms, kitchens, mechanical, roof, windows and much more! Large 65 x 140 ft lot. Great neighbourhood, very sought after. Upstairs being used as Air BnB making between $2,500-$3,500 a month! Good investment property as well! Call for your private viewing today!